Split system – air conditioning is composed of an outer (condensing) and internal (evaporative) blocks. External power split systems are usually located on the roof or side of the building, or inside the room. The indoor unit split systems can be installed anywhere, not just on the wall indoor units, in addition to the wall, floor, ceilings, columns and embedded in the ceiling – channel or cluster. These units are connected by two thin copper pipes in insulation. The noisiest part of the air conditioner is the compressor. In split-systems, it is installed outside of the residence, which results in super quiet operation. Air conditioning – a device for cooling or heating the air in the room. There are so many types of air conditioners to choose from, depending on the design, application, and functionality. Air space problems can be solved in different ways. One must consider the room where the air conditioner is installed, its size, height of the ceiling, the number of people residing in the given space, the presence of heat-generating equipment, the size of windows, the orientation to the world and much, much more. For example, If the apartment has two rooms, it is reasonable to apply a multi-split system with different or the same power of indoor units. 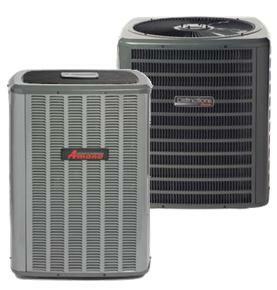 In any case, the selection of the desired type air conditioner is best left to professionals. 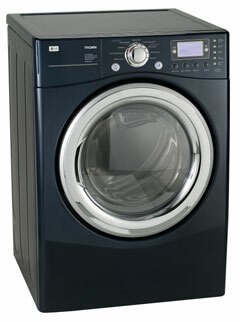 Washing machines are the workhorses of the household appliance stable. For a household appliance, it’s a pretty complicated machine – with special timing cycles that operate valves, motors, spin the tub, drain water, and control the water temperature. But when they break down, they’re the toughest to get by without. Who wants to drag their laundry down the street to the laundromat for the privilege of dropping quarters into a strange machine that may not take the gentle cycle very seriously? Have no worry! We’re just a call away! A refrigerator is one of the few appliances in your home that runs continuously, day or night, keeping your food cold. If you consider how hard a refrigerator has to work, it is actually quite amazing that they break down so infrequently. On the rare occasion your refrigerator does stop working, you may face a high a high cost of replacing all of your food. Have no fear! Call the professionals at Pace Appliance for fast, courteous, and affordable Same Day Service. There is a many types of air conditioners to choose-depending on the design, application and functionality . Air space problems can be solved in different ways. One must consider the room where the air conditioner is installed, its size and height of the ceiling, the number of persons residing in a given space, the presence of heat-generating equipment, the size of windows and their orientation to the world and much, much more. For example, If the apartment has two rooms, it is reasonable to apply a multi-split system with different or the same power of indoor units. In any case, the selection of the desired type air conditioner best left to professionals. External power split systems are usually located on the roof or side of the building, inside – inside the room. The indoor unit split systems can be installed anywhere, not just on the wall indoor units, in addition to wall, floor may be, ceilings, columns and embedded in the ceiling – channel or cluster. These units are connected by two thin copper pipes in insulation. The noisiest part of the air conditioner is the compressor. In a split-systems, it is installed outside of the residence, which resulted in super quiet operation. Inverter split system automatically adjust the cooling capacity in the room (the usual split-systems work only on-off), thus, more precisely to the set temperature, induced lower noise, save up to 30% of the electricity is provided by a large cooling capacity and longer life . This is possible because the power consumption is reduced when the indoor temperature approaches the desired speed. In this case the inverter switches the operation mode to low power consumption to maintain the optimum temperature without loss of power. The cost of an inverter split system is higher than a similar, NON INVERTER. In the endless debate – which is better , gas or electricity? – Hardly a simple answer . Gas forces to be always on the alert, mindful of the danger that threatened him with the leak. In addition, the flame consumes oxygen gas burners in the kitchen that makes think also about ventilation. It would seem – long live the electricity! And it is safe and can be operated by a predetermined program. But look at the professionals unless at least one chef cooking on an electric stove? Well, except that melts the butter. Fire, and the fire – that’s the only tool for gourmet cuisine! In short, today as a century ago, gas and electricity, the two eternal rivals, conduct a continuous struggle for the right to warm and feed the people. It is known that the phenomenon of electromagnetic induction was discovered by Michael Faraday in 1831. 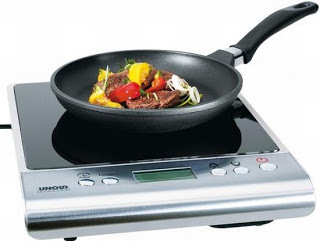 Today, the brilliant Englishman can say thank including restaurateurs : Found it on the principle of operation is based induction equipment, which for nearly two decades, equipped with kitchen segment HoReCa. In the snare drum, similar to the drum of the washing machine is loaded requiring drying linen, after which the device is rotated, spending through the hot air drying laundry. The condensate is displayed either in a specially designed tank or, where possible, right down the drain. The obvious advantage of devices designed specifically for drying , compared with the machines , when combined drying and washing, is the amount of laundry processed at one time. Washing and drying machines, due to design features, only half can dry things have been washed, while dryers are able to cope with a much larger volume. In addition, fabrics treated in drying ,straightened and require less effort associated with the ironing, and some materials (synthetics, denim) and does not require smoothing. A variety of temperature regimes, supported dryers, will handle almost any, even the most delicate fabrics mode for gentle drying may not be accompanied by heating, which will provide gentle and effective care of any kind). Users can select either mode , graded on the basis of type of tissue, and the principle of quantitative temperatures. Today you can buy a drying machine that can perform and additional, highly useful features, for example, to carry out a dusty ventilation or soaked clothing unpleasant odors, clean up things from pet hair or otherwise, does not require washing contaminants. People have been using the refrigerator not only as a convenient home equipment for freezing and storing a variety of products, but also as a device that replaces a cabinet, medicine cabinet, breadbox and more. 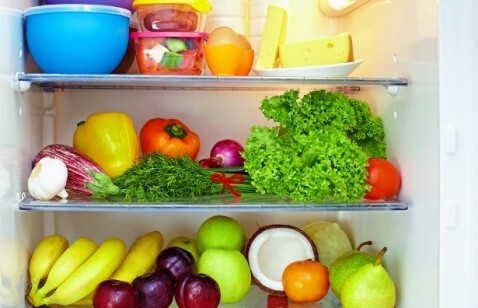 Think about it: Isn’t there a medicine in your refrigerator? Did your mother / wife / sister do not store in it cosmetics and other means to care for themselves? Didn’t you put at least once in your live in the refrigerator bread, thinking that the cold air prevents its rapid stale? But apart from these cases, there is also a variety of other situations in which people behave properly in relation to their household and kitchen appliances, and to its contents. Here is the reminder of what kind of things, objects and products should not be stored in the refrigerator. Most people think tomatoes should be in the refrigerator in a container for vegetables and fruits. This is not the case. Cold setting makes mealy tomatoes as moisture away from the fruit and berries internal membranes are destroyed, so tomatoes should be stored at room temperature in a conventional paper bag. In this case, the shelf life should not exceed 2-3 days.